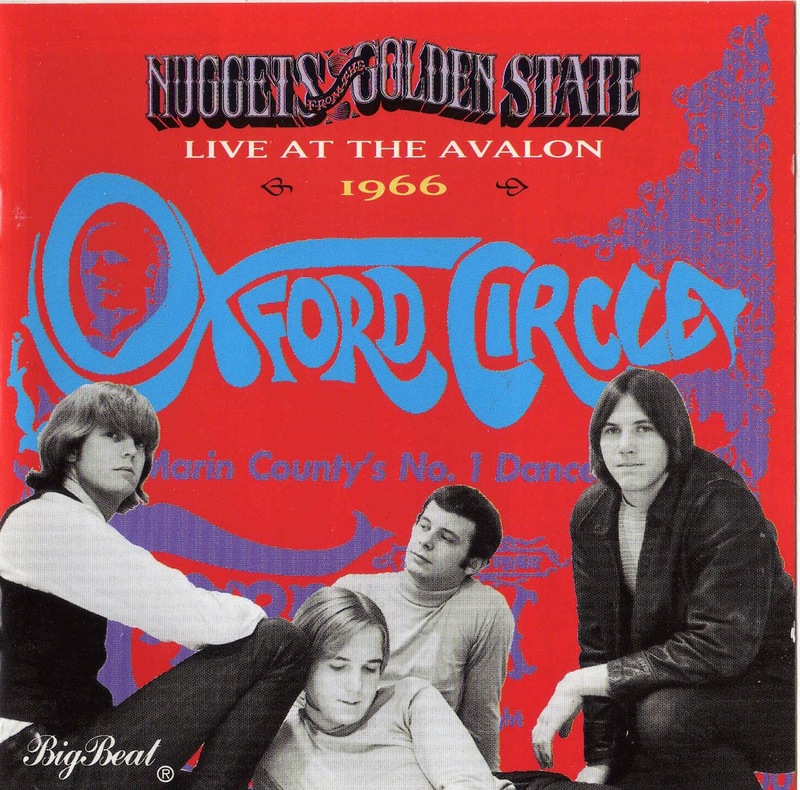 Oxford Circle was a legendary psychedelic blues band primarily due to the fact that drummer Paul Whaley and vocalist/fuzz guitarist Gary Lee Yoder were members of the cult proto-metal band Blue Cheer. This set "Live at the Avalon 1966" contains 14 live cuts in good sound quality for the time period. In addition it also contains four studio cuts. "Foolish Woman" a garage/psychedelic favorite and "Troubles" another band original appear here in both studio and live versions. These are the strongest group originals on the disk. The live cuts are mostly classic blues or British blues/rock covers. Versions of "You're A Better Man Than I" (Yardbirds) and "We Gotta Get Out Of This Place" (Animals)and some songs by Van Morrison illustrate that their main influences were British blues/rock bands of the mid to late sixties with a California psychedelic take. Blues covers "Baby Please Don't Go" and "I'm A Man" are especially energetic. The Yardbirds like rave-up at the end of the latter contains some Jeff Beck inspired guitar work by lead guitarist Dehner Patten with some psychedelic fuzz and distortion added by Yoder. Drummer Whaley is solid throughout and it easy to imagine why Dickie Peterson tapped him to fill the drum chair in the power trio Blue Cheer. Jim Keylor's bass is noticeable now and again weaving in and out of the guitar histrionics. Yoder's harmonica pops up occasionally and gives the proceedings a bluesier feel. The band broke up after Whaley left to join Blue Cheer. Yoder and Patten reunited to form Kak another psychedelic band before Gary Lee Yoder also joined Blue Cheer. Fans of California's psychedelic scene and rare blues/garage rock will find this to be a hidden treasure. Kudos to Ace/Big Beat for unearthing this rare psychedelic gem and providing great liner notes with a detailed history and pictures of the band.